Keep the colors coming with these five fantastic fall-blooming, cold tolerant, varieties. Chrysanthemum- This fall favorite perennial bloomer always wows! Plant in groups for gorgeous masses of autumn colors- yellow, bronze, red, white, orange, burgundy and pink. Hardy Hibiscus- A perennial show-stopper, these huge flowers come in a dazzling array of bright colors and bicolors, and continues to bloom even into October. Aster- The delightful colors of these beautiful, daisy-like blooms will flower vigorously until a hard frost. These perennials are also a reliable, rich source of nectar for Monarch butterflies fueling up for their fall migration. Ornamental Cabbage and Kale- Add these captivating annuals for wonderful textures in your garden and containers. Their curly thick leaves range in colors from whites to shades of pinks and purples. 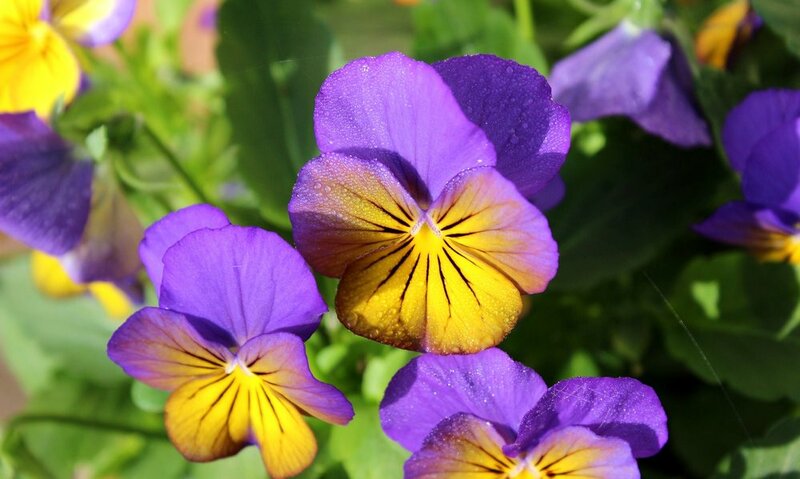 Pansy-These sweet, cheery, little annuals are surprisingly very hardy and can withstand cool weather while providing pops of color. Beneficial Bugs- Your New Besties!